Custom printed sets of high-quality Cotton Satin or Real Silk (satin or twill) personalised pocket squares/handkerchiefs. Printed, cut and sewn with baby hem in London, made with meticulous detail for the discerning customer. Packs of two, four, six, or twelve. Made with a choice of fine textiles including silk fabric and cotton, we make these adorable fabric personalised handkerchiefs and pocket squares. You can enjoy designing your own pocket squares online here and have them sewn to order. Your graphics and or text printed on the textile, cut and sewn in the time honoured tradition of bespoke tailored design. It's easy and fun to design them here. Perfect for weddings, as they come in sets for the groom and best man, or for team events, or just for your personal wardrobe. Really good quality pocket square. could have been a little easier up loading photo but very happy with purchase. Great quality, very pleased and would use again! A great personalised gift. Amazing idea to be able to choose colours and design yourself! Also outstanding customer service, really friendly and helpful and went out of their way to deliver the best service possible. 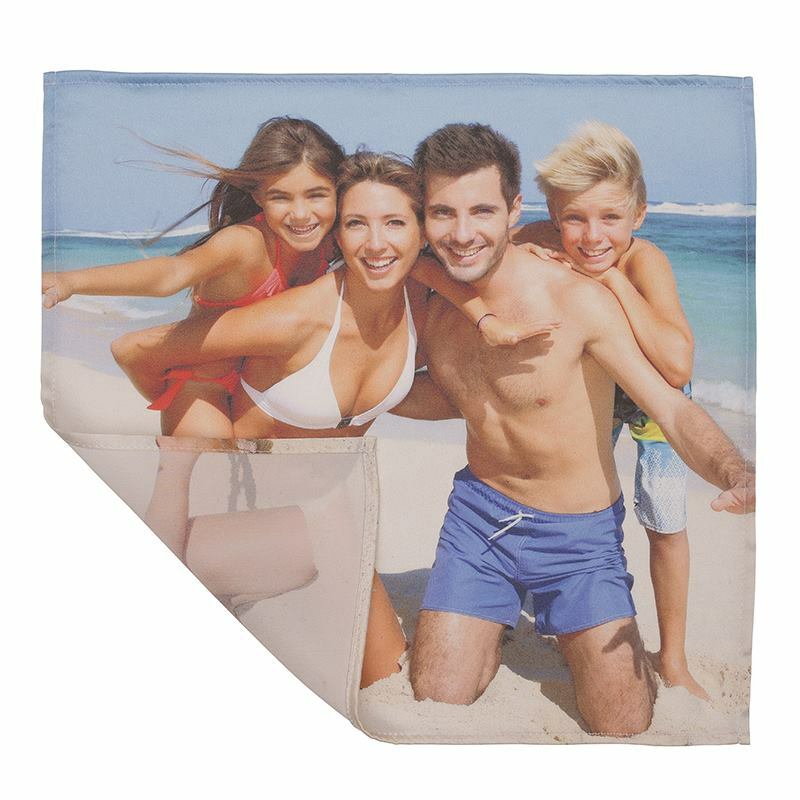 Your design is printed onto the fabric using deep infusion methods. a creates a long lasting print that won't peel wash after wash. Your pocket square is then cut to size and shape before expert seamstresses hem and stitch your handkerchief. Whether you need a colourful finishing touch to a suit or fancy a colourful one of a kind pocket handkerchief, this is the product for you. Using over a decade of printing and sewing skills we can now offer you this fantastic accessory to embellish your wardrobe. All over high-quality print is sewn into the hem, each one custom printed and made in our facility. Cotton Satin has a very soft laundered feel and folds well. We make these adorable fabric personalised pocket squares in either Cotton Satin, a gorgeous natural cotton with a smooth satin weave, or real silk, either in a twill or satin weave. All our Custom Pocket Squares have a wonderful handle and hold their shape well when folded and inserted in your suit pocket. Please note: your new pocket square is printed and not embroidered. If you love the idea of an embroidered effect, why not upload an embroidered design, to get the best of both worlds? Care: Cotton Satin: We recommend hand or cold washing to preserve the life of the print. Some fading and shrinking will occur during washing. Real Silk: Specialist Dry cleaning only. NOTE: The reverse side will predominantly be white with a little show through of the print.